6 Rolls to lock in the freshness! The 6 Pack Food Vacuum Sealer Rolls provide 6m of sealing goodness per roll for storing your meals and food. 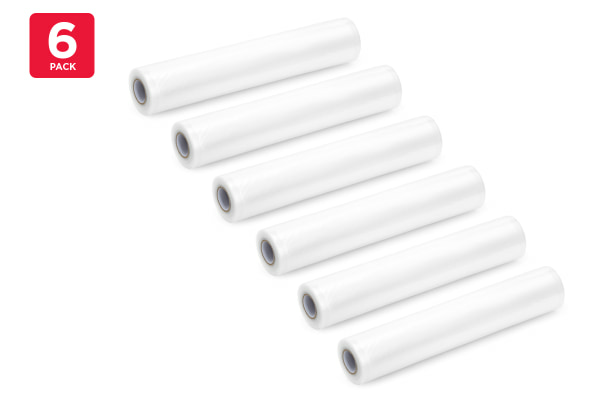 Cut the roll to the required length, pop your food in and use with any compatible food vacuum sealer to heat seal the edges.